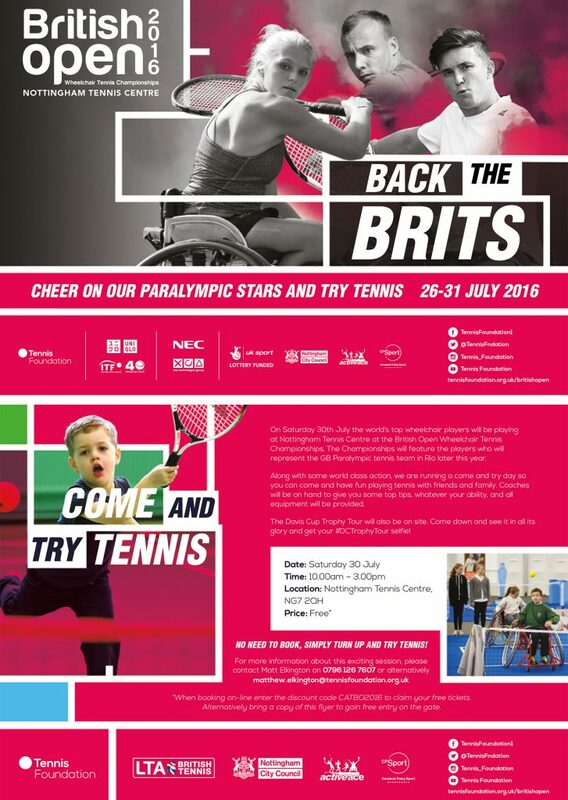 British Open Wheelchair Tennis Championships at Nottingham Tennis Centre. The event will take place from Tuesday 26th – Sunday 31st July. Alongside this world class action will be running a come and try day so that you can come and have fun playing tennis with family and friends. Coaches will be on hand to give you some top tips whatever your ability. The Davis Cup Trophy Tour will also be on site. Come down and see it in all its glory!